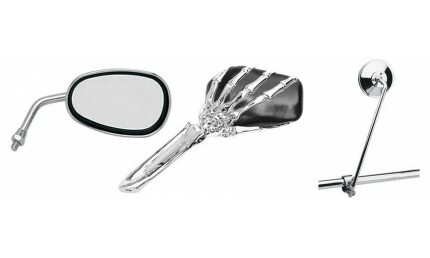 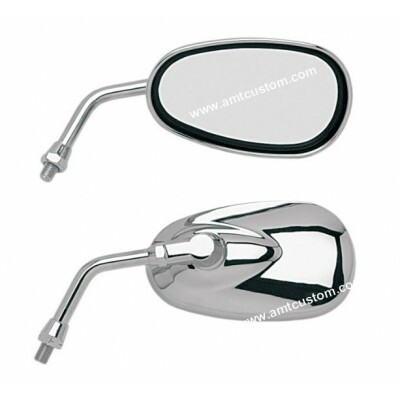 2 chrome mirrors. 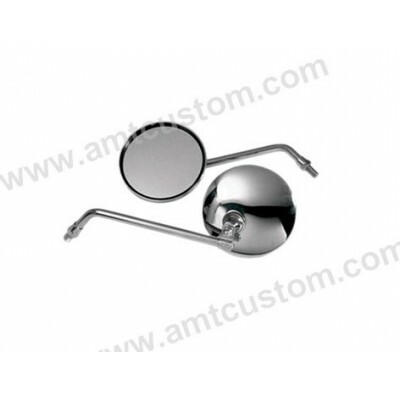 - Universal Mirrors. 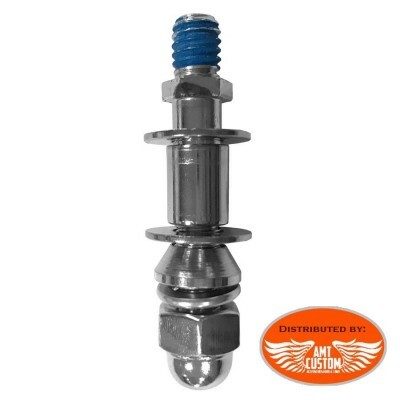 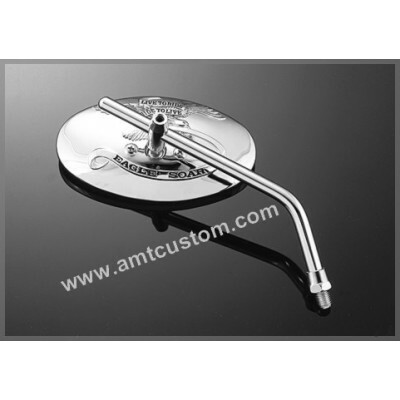 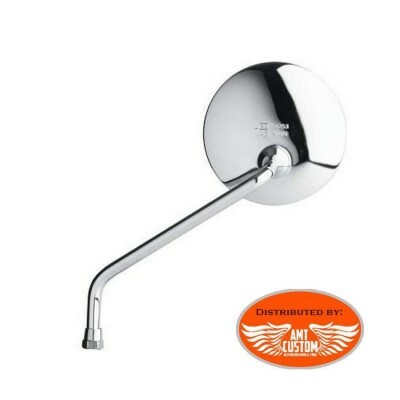 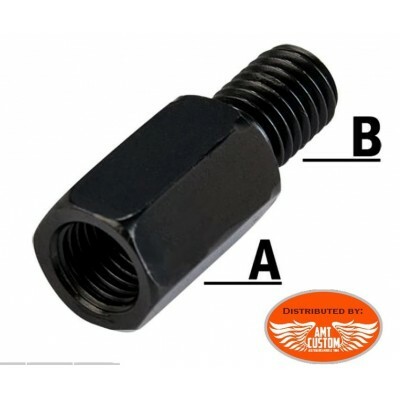 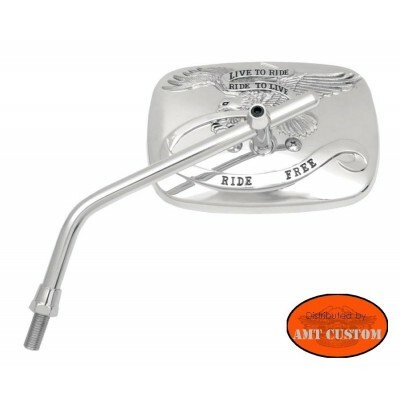 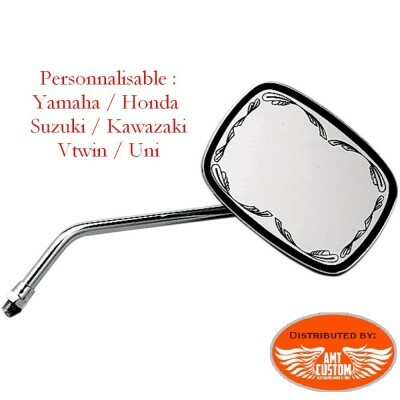 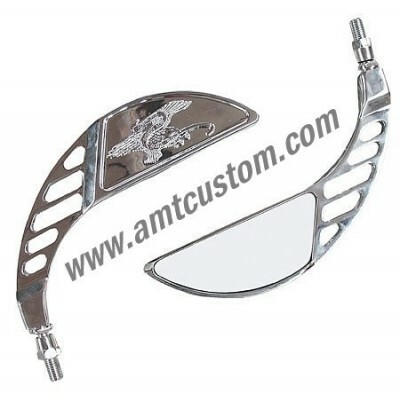 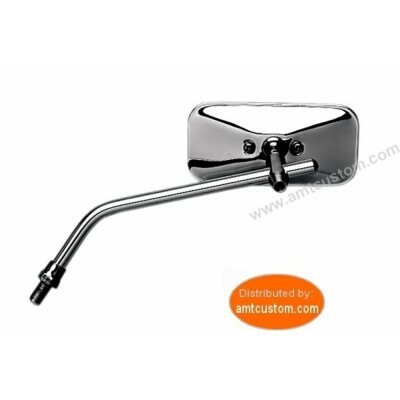 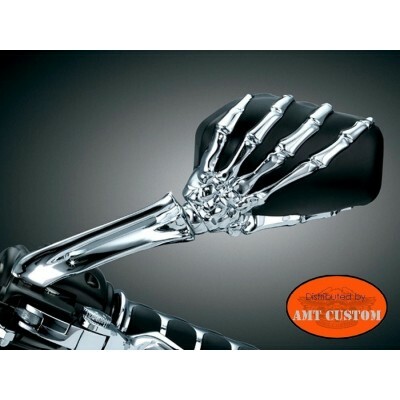 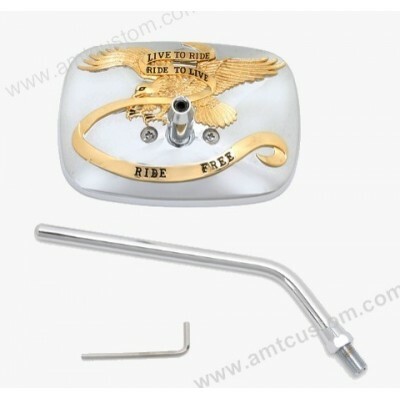 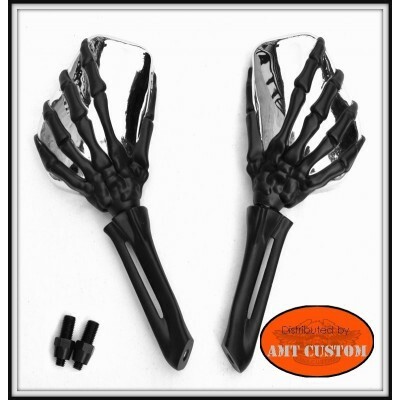 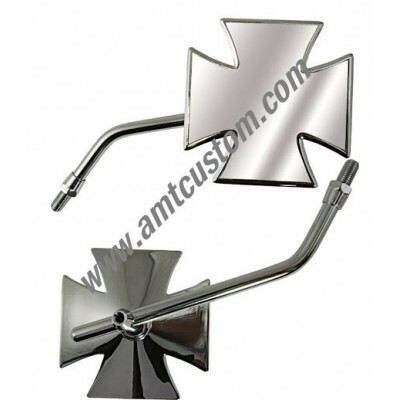 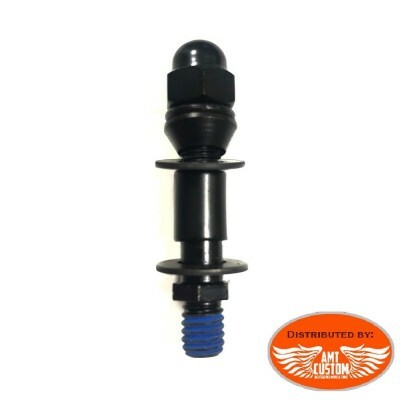 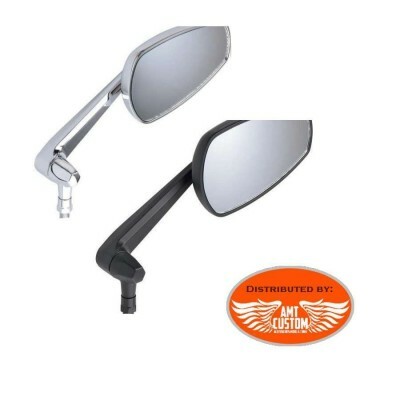 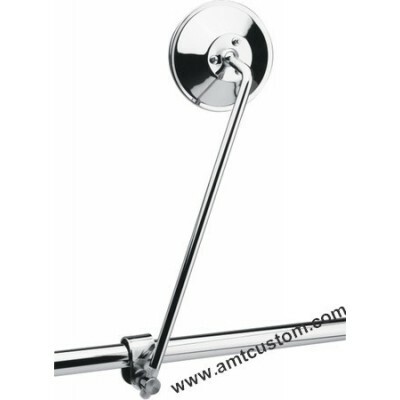 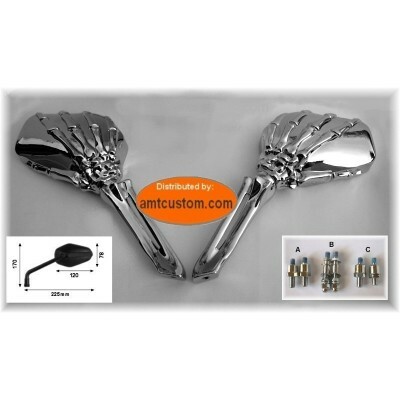 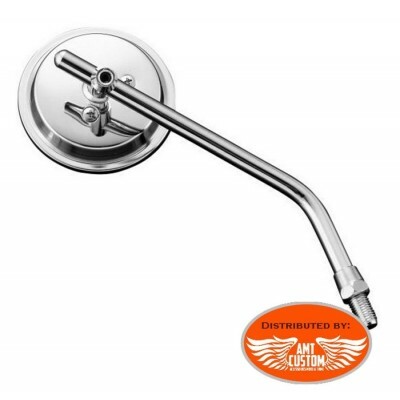 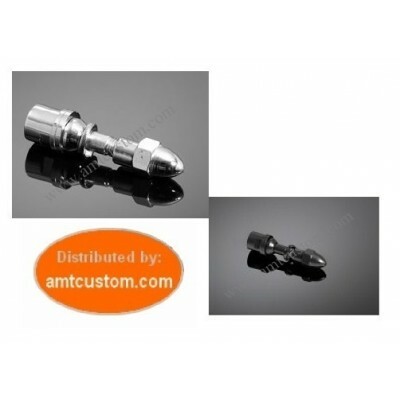 - Supplied with M10 attachment and fixing for Harley. 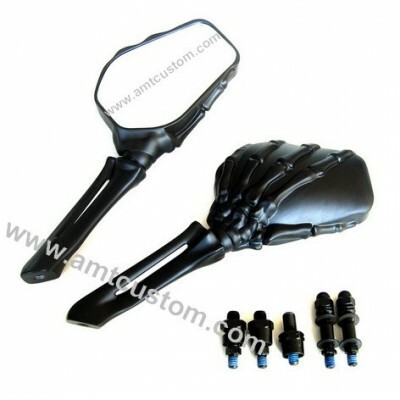 2 black spiders mirrors. 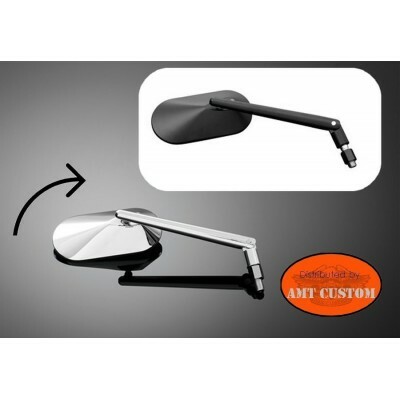 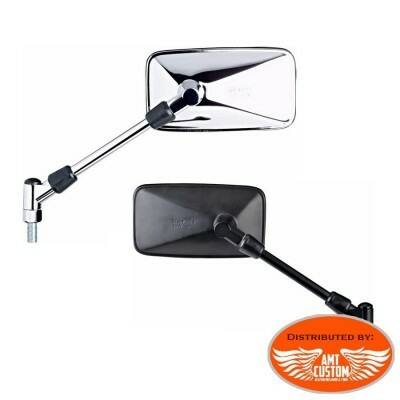 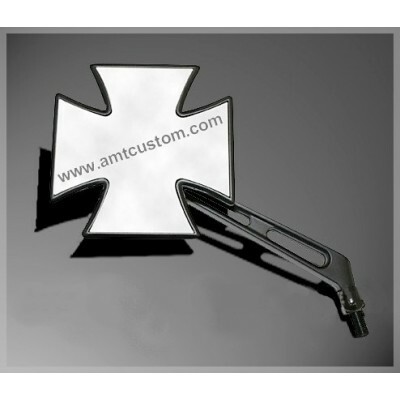 - Matte black universal mirrors. 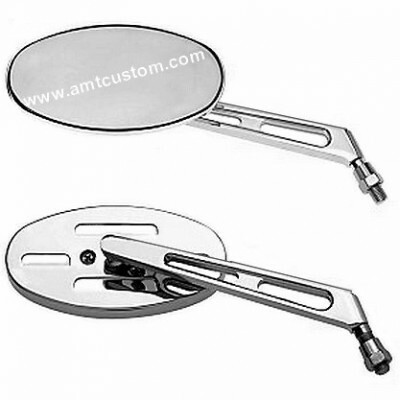 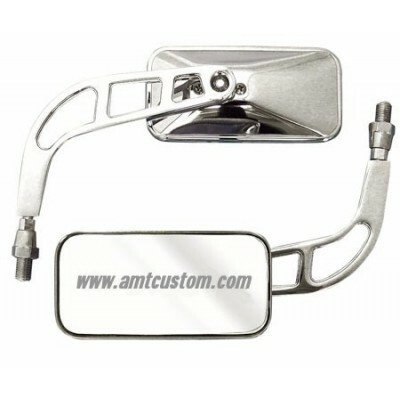 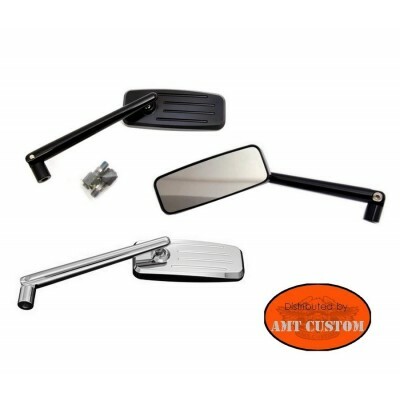 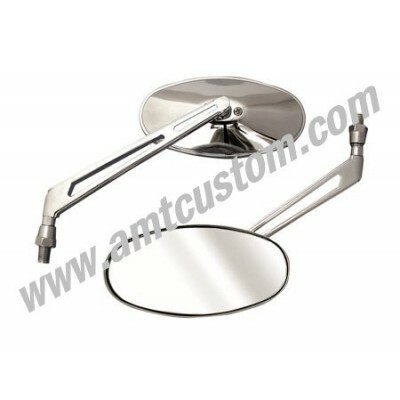 Pair of Mirrors Custom Chrome Rectangle.